Wave goodbye: Accelerate past your stock friends with the gains that this intake provides! Time is money: With Injen's built-in Filter Minder, you will save a lot of time by not having to disassemble your intake system to inspect it. Big savings: By being able to re-use Injen's air filter, this will save you tons of money, and it will also last the lifetime of your Jeep! The Injen intake system for the Jeep JK Wrangler V6 is fully enclosed in the black roto-molded housing.The heat-insulated black roto-molded tube replaces the stock intake track, and has been engineered to direct the increased air flow into your engine to produce maximum performance. This intake system is equipped with the Injen SuperNano Web Dry washable/reusable 360 degree air filter for long life and multiple cleaning cycles. Injen's intake system also has a sealed intake housing that keeps out the warm underhood air, and brings in cooler air from the outside for maximum performance. This intake system also comes with a built in Filter Minder for quick and easy filter inspections without disassembling your intake system. Injen's intake system features a fully modular design that allows the user to be able to switch from the standard cold air intake, to the forward facing ram air scoop (EVO15069 Air Scoop) , to the deep water crossing snorkel (EVO15070 Snorkel) with a simple 4-bolt mounting flange, both are sold separately. 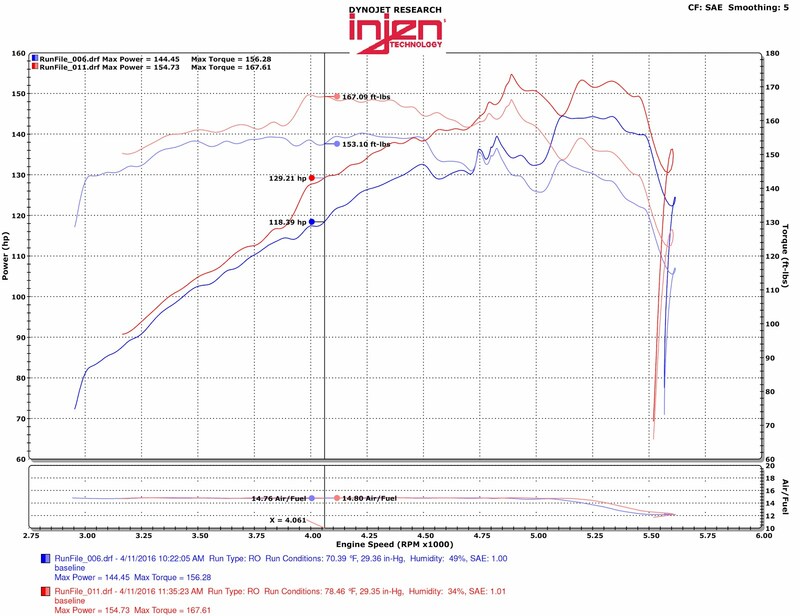 Not only is Injen's intake multi-functional, but this intake system also produces up to 11 horsepower and 14lbs. of torque!